We are please to announce that we are now associated with the Chelsea FC Foundation which will enable all our coaches and players to experience and benefit from the training methods and experience of a Premier League football club. Provide coaches to support the provision of Football Training Camps. The Foundation will ensure staff are supplied to adhere to the coach to player ratios (1:16) and all coaches will hold an FA Level 2 qualification or higher. Provide the Organisation with the necessary football equipment for the Activity including but not limited to footballs, bibs, mannequins, hurdles and speed ladders. Provide a Foundation staff member to run a Continuing Professional Development event for Crofton Saints coaches. Provide a Foundation staff member to act as Coach Mentor for Crofton Saints. The Coach Mentors will attend all manager and committee meetings and will assess the coaches’ delivery. 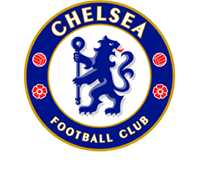 Provide complimentary tickets to Chelsea Football Club Youth team and/or 1st Team Ladies fixtures upon request subject to availability. Provide the opportunity for members of Crofton Saints to visit the Foundation training ground for a football session or educational purposess. Provide access to the player pathway activities delivered locally including the Foundation’s Development Centre Training Camps and Residential Camps. Provide support and advice for fundraising. Offer players registered to Crofton Saints a discounted rate for local Chelsea Football Club Soccer Schools. Ensure that the Crofton Saints is the only grass roots club to receive benefits from the Foundation within a 10 mile radius. This is just a short summary of what the Chelsea FC Foundation will be doing for and with us and as more information becomes available it will be posted here. We will also use this page to advertise any up coming events or activities.